Office 2016 hit the market just two months ago and over the coming weeks we’re rolling out the next wave of monthly innovations for Office 365 subscribers. This month, PowerPoint leads the way with game changing tools that make it simple to build designer grade layouts and transitions. With this month’s feature update, we’re also introducing Office Insider, an ongoing preview program available to Office 365 subscribers. PowerPoint Designer and Morph are new intelligent tools that work for you by automating the creation of slides and presentations, helping everyone get more out of Office. With a cloud-powered recommendation engine and smart animation technology, these new PowerPoint capabilities help anyone create polished slides and captivating motion effects with just a few quick steps. PowerPoint Designer allows anyone to create high quality professional slides within seconds. Just drop an image into your presentation and Designer provides you with several design ideas. Select your favorite and you’re done! This allows you to spend less time figuring out how to produce high quality designs and more time preparing for that key moment—your presentation. This all works thanks to a powerful combination of automated design and smart image analysis. PowerPoint Designer was built in collaboration with professional graphic designers, who helped develop over 12,000 creative blueprints. Designer applies cloud intelligence to analyze and identify the most compelling portion of your images to determine which blueprints work best with your content. For example, if the visual contains a natural scene, Designer can zoom, crop and frame it. But if the image contains a chart, it focuses in on the relevant region to ensure the important data is highlighted. Designer then selects from the 12,000+ blueprints to provide multiple layout options to help you make the most of your image. The end result is a high quality and customized presentation—in seconds. This first release of Designer will do amazing things, but it’s going to get even better with time. In the coming months, we will expand Designer to work with additional slide types. Morph creates cinematic motion by seamlessly animating between your slides. Morph doesn’t just animate regular text or images, it can animate 3-D shapes or be applied at a word or even character level, including text wrapping. Simply duplicate slides you want morphed together, move the objects based on how you want them to animate and click the Morph button under Transitions. You’ll be amazed with the quality of animations you create with just one click. 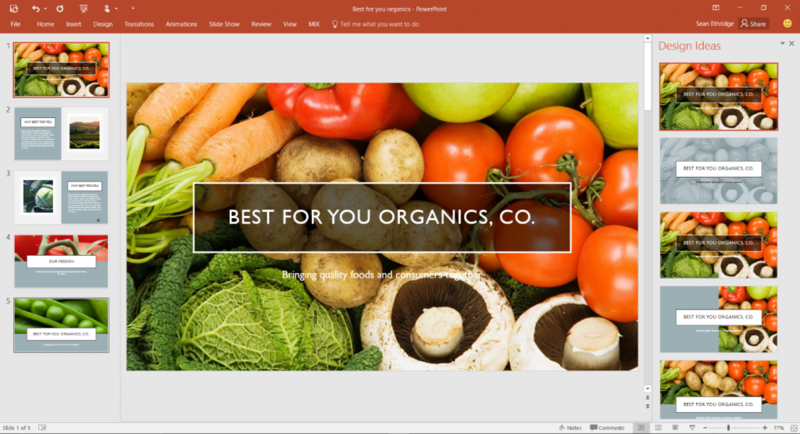 Exclusively available to Office 365 subscribers, PowerPoint Designer and Morph are premium authoring and editing features. 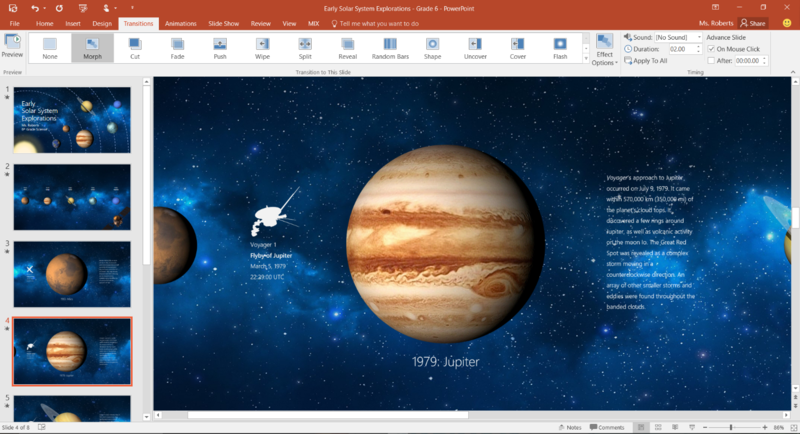 PowerPoint Designer and Morph are available first in PowerPoint 2016 for Windows desktop and Windows Mobile, but expect to see these same features rolling out to other platforms in the coming months. Today, we’re also launching Office Insider, a new program that allows Office 365 Home, Office 365 Personal and Office 365 University subscribers to opt in to pre-release builds of Office 2016 for Windows. As an Insider, you get first-hand access to the latest innovations, putting you on the inside track for all things Office. And when you become an Office Insider, you are joining a community of like-minded power users. With your partnership, we can ensure a high quality Office experience for millions of Office users worldwide. Sign up and learn more by visiting the Office Insider page. If you are a commercial Office 365 subscriber and would like to get early access to new features, you can opt in to Office 365 First Release. Mac customers, stay tuned for more shortly on Office Insider for Mac. This month’s updates will be available to Office Insider participants in the coming week. Then, over the following weeks, the update will roll out to consumer and commercial Office 365 subscribers. Buy Office 365 to get the 2016 apps and these exciting new enhancements. Already an Office 365 Home, Personal or University subscriber? 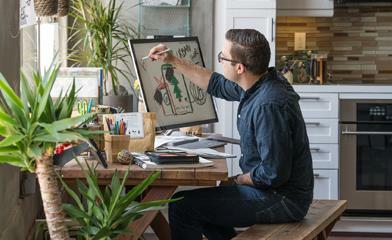 Opt in to Office Insider and get access to Designer, Morph and updates across Office 2016 when they become available. Visit office.com/insider to learn more. Thanks for your continued feedback and support.